CCC: Enhanced Reputation Key Goal of CSR Efforts. New reports cites increased funding, senior leadership appointments, management engagement and reputation enhancement goals for corporate citizenship. The Center for Corporate Citizenship has released its The Profile of the Practice 2013. The report explores how the environmental, social, and governance (ESG) dimensions of business—corporate citizenship—are managed in today’s business world, and how these practices have evolved since the last report in 2010. 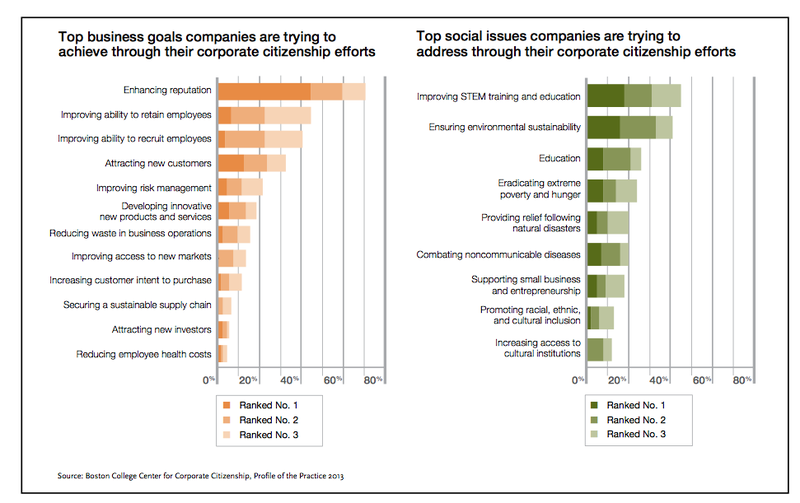 More than 70% of companies cited enhanced reputation among the top three business goals they are trying to achieve through their corporate citizenship efforts. The next most frequently cited goals are improving employee retention (45%), improving employee recruitment (41%), attracting new customers (33%), and improving risk management (22%). The chief executive is more involved in developing strategy, setting goals, and communicating corporate citizenship than reported in both 2008 and 2010. More than 25% indicate that their chief executive is highly involved in corporate citizenship program evaluation. Almost 100% of companies have a corporate citizenship budget today, while just 81% reported being budgeted in 2010. Almost 60% of companies have an executive leading corporate citizenship. This is a 74% increase over what was reported in 2010. Close to one-third of corporate citizenship leaders are within one level of the chief executive. The survey was conducted in the Fall of 2013 of 231 companies and their corporate citizenship strategies, operational structures, and business practices were analyzed. The Carroll School of Management Center for Corporate Citizenship at Boston College is a membership-based knowledge center. Founded in 1985, the Center has a history of leadership in corporate citizenship research and education. 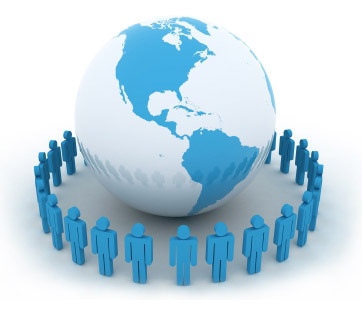 The Center engages more than 400 member companies and more than 10,000 individuals annually to share knowledge and expertise about the practice of corporate citizenship through the Center’s professional development programs, online community, regional programs, and annual conference. The Center is a GRI-Certified Training Partner. For more information, visit the Center’s website at www.BCCorporateCitizenship.org.